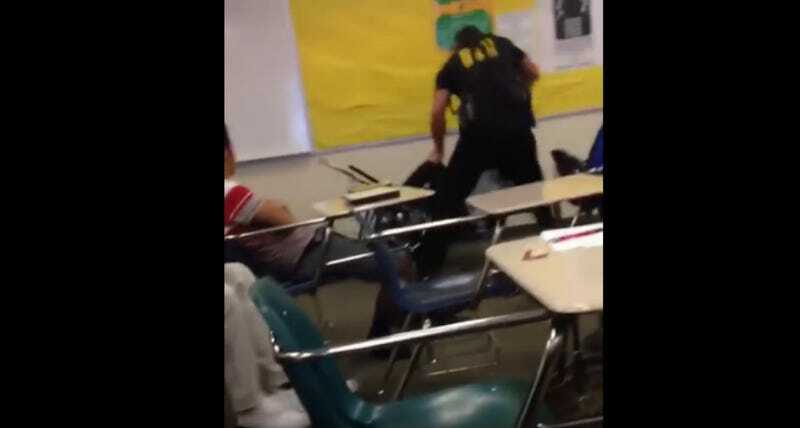 A video of a female student being violently thrown to the ground and arrested by a sheriff’s deputy at Spring Valley High School in Columbia, South Carolina is quickly becoming a campaign issue. Both Hillary Clinton and Martin O’Malley’s campaigns are calling the arrest unacceptable, with O’Malley reacting to it with apparent horror live on MSNBC last night. Ben Fields, the sheriff’s deputy working as a school resource officer, has been placed on administrative leave with pay while the sheriff’s department investigates his behavior. They claim the student was not injured.